I have been seeing an increase in references to “big data” in the numerous listservs, calls for papers, conference topics, and job descriptions that fill my email inbox. “Big data” is an umbrella term often used to describe data sets that are so large in size they require supercomputers for processing (Manovich, 2011), as well as data that is fundamentally part of a networked ecosystem (boyd and Crawford, 2011). Big data seems to be implicitly associated with big money, big interests, and big prestige, observations that are making critical scholars pause and ask that we collectively slow down and ask big questions about the nature of big data research, including examining the ethical and political dimensions of these projects. The slow food movement was founded in 1986 in response to fast-food culture. Slow food asks us to take time and care when growing food, emphasizing local food culture practices and traditions. The movement is politically organized against the globalization and corporatization of agriculture. 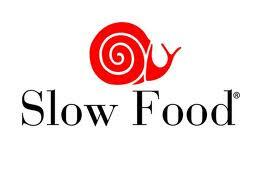 Slow food advocates for ethical food practice, fair wages for farmers, lobbies against engineering and patenting of genetic information, educates the public about factory farming, and teaches gardening skills to the public. Small data might draw parallels from the slow food movement and position itself as a response to big data culture and the corporate interests that drive it. Small data as slow food might ask researchers to slow down and consider the role and value of local contexts for data, problematize the neutrality of algorithmic analytics, teach digital curation and literacy skills, advocate for ethical standards in big data, and critique the corporatization of big data research. I look forward to thinking through this presentation and contributing to the growing dialogue of scholars interested in the politics and ethics of scholarly research. I will be reporting out the results of the panel after the conference is over, so stay tuned for the update in May! boyd, d. and Crawford, K. (2011). Six provocations for big data. Social Science Research Network Working Paper Series. (Available at http://ssrn.com.proxy2.library.illinois.edu/abstract=1926431). (Available at http://www.manovich.net/DOCS/Manovich_trending_paper.pdf.) Accessed 17 January 2013.